Manhattan District Attorney Cyrus R. Vance, Jr., today announced the indictment of ANTHONY HUGER, 32, for selling and attempting to sell forged tickets to the Broadway musical Hamilton. 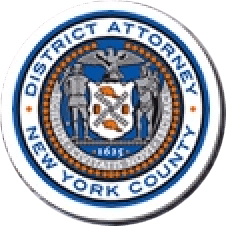 The defendant is charged in a New York State Supreme Court indictment with ten counts of Criminal Possession of a Forged Instrument in the Second Degree, among other charges. According to documents filed in court and statements made on the record in court, HUGER advertised Hamilton tickets for sale on Craiglist.com, and sold or attempted to sell forged tickets to the ads’ respondents on three occasions. Similarly, on February 12, 2016, a Manhattan resident responded to HUGER’s Craigslist ad, and agreed to meet him at the corner of West 100th Street and Broadway in order to purchase two Hamilton tickets for $300. After the victim paid the defendant in cash, the victim’s wife suspected the tickets may have been forged, and contacted officers in the NYPD’s 17th Precinct. Working with the officers, the victim’s wife contacted HUGER, and arranged to meet in person to purchase four additional tickets. Officers observed the defendant attempt to sell her forged tickets, and placed the defendant under arrest. Two additional forged tickets were found on the defendant’s person.